Our 2017 singles club takes the form of a monthly postcard single from some of your favourite bands. We're also taking four of the twelve singles and pressing them on 7" flexidiscs - the first was Penelope Isles in January and we're delighted to announce our second is a match made in pop-heaven; Trust Fund and Gareth Campesinos covering The Beautiful South's 'I'll Sail This Ship Alone’. Hopefully the two need no introduction, but just in case they do .. Trust Fund is Ellis Jones, an indie pop prince who has written some of our favourite songs of the past few years and Gareth is from Los Campesinos (your ex girlfriend's favourite band / one of our favourite ever bands). Recorded in The Beautiful South of London with Mark Jasper (Witching Waves), Gareth has previously held no cards to his chest when it comes to his profound love for the band. The duo take the tender original, a perhaps once forgotten single from 1989, and transform it into a jubilant indie pop wonder. 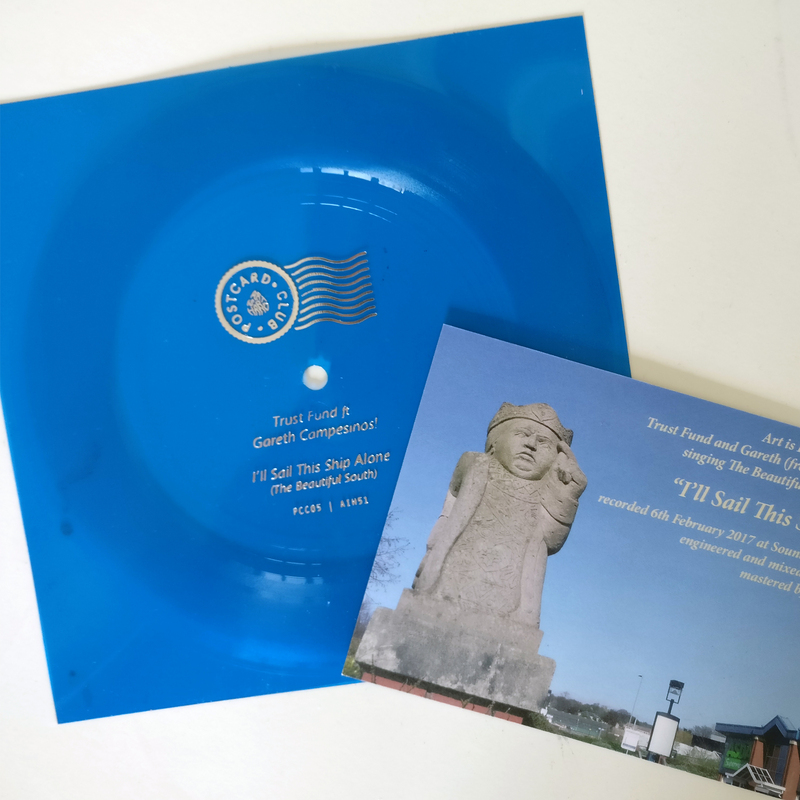 ’Sail This Ship Alone' is released as part of our Postcard club and is available to order right now as a limited 7” flexi disc / handwritten postcard with a download code. 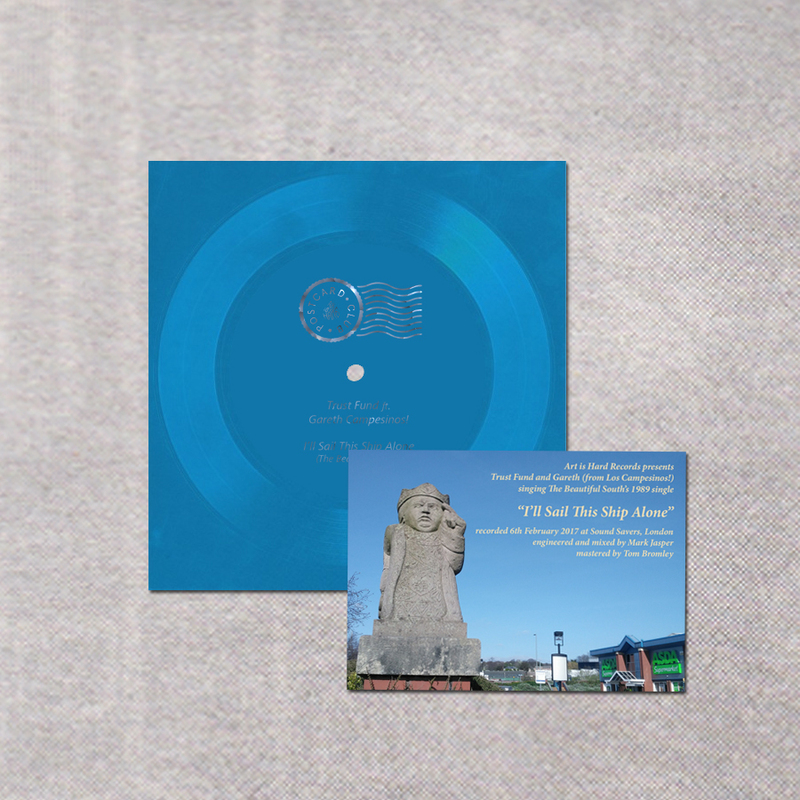 The 7" flexidisc is limited to 250 and comes with a free handwritten postcard featuring artwork created by Trust Fund.